Explore a scary mansion, all you have with you is your trusty flashlight. Ranked from 22 ratings. Score is adjusted from raw score by the median number of ratings per game in the jam. 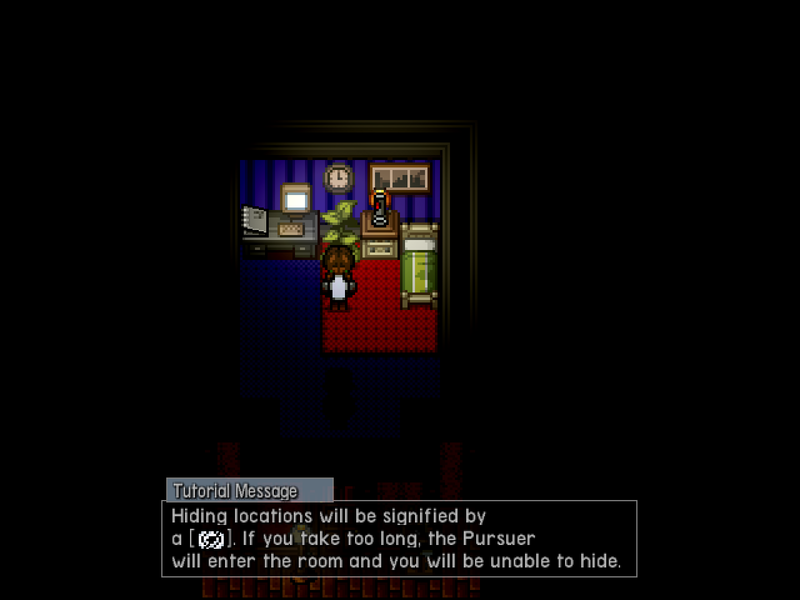 The game is basically a bunch of maps to explore in a mansion that has had some pretty horrific deaths occur within. You wake up in a bed and set off to explore. There's no story implemented just yet, and I ended up frozen out due to a bug, but overall the general idea is pretty good. The presentation is nice - the mapping is well done and the idea of hiding and running from an unknown enemy, while not new, is still interesting, especially with the addition of a heart monitor in the mix. The atmosphere is added to not only by the graphics themselves (with pretty nice lighting) but also through sound and music, which fit well. Honestly, it's a good base to build on and though we didn't get to see any hints about what the monster could be (if there even is one!) it does leave you wondering, which isn't a bad thing. The game has promise. I like the intro music, it gave me a feeling of sorrow - it fit very well for horror game. There was no instruction but i found out we can press Q to turn on Flash Light. But then, i realize a strange behavior (it's sometime when you interact with bed/ shelf, you just disappear until you hit any keys) that is very likely the Girl will do that to hide from something. So i think it was not the girl but a terrible monster who is lurking inside some dark rooms of this house - who did all of this. Well i ran right into a bug though, it is just stuck there ..
yeah haha. also yeah i fixed the bugs cos I had a friend test it but he played it after the judging period and i had some stray autoruns. Thanks for playing and glad you liked. I did all the mapping haha. A friend scripted the UI. Yeah I liked the music. Fun fact the music in the game is just the title-screen music slowed down. I am just sorry I couldn't do much else, as shortly after finishing the maps i felt ill. Thanks for playing am glad you liked it. I really see a lot of potential with this game. The mapping and atmosphere was top notch and if the monsters end up being silent hill like in the future iterations of this game I can see it really being a hit. The heart meter really adds to anxiety the game delivers. I've also heard that a battery meter for the flashlight is in the works and that will even make this game more harrowing. 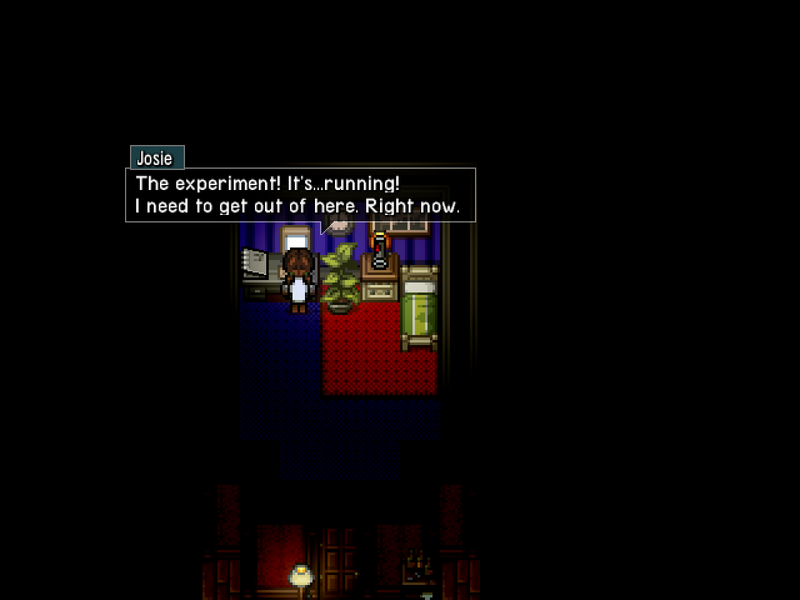 Solving the puzzles in the future while dealing with a mysterious adversary will be really fun. Can't wait to see a final version of this game. thanks glad you liked it. Yeah I cannot wait to work on the enemies and add cutscenes into this haha. Love the artwork and sound, solid ground to make something great, I already imagined a Clockwork like gameplay, where the main char have to hide from their pursuer with nothing to fight, the heartbeat indicator is also a nice feature, but a bit too gory for me, can't wait until the final release. thanks. Haha am glad you like. I have great plans for this game for its future. Like a battery for the flashlight so that you can't always rely on it and that you will need to seek out battery packs to refill it or to use the environment lights when you run out as the darkness is not safe. A solid premise to built on. The ambiance is creepy and the music serene. The fact that I didn't see any enemies the entire time I played really upped the tension for me, kind of like the endless hall in PT. I did find a few things that could be improved in future releases. Some of the southern exits are hard to tell that they are actually exits, especially true in the dark rooms. On some of the side exits you've set it that you can only exit by stepping on it from the opposite side (right for west and left for east), but you can get to these exits from below because of how the wall tiles work. You really only need to add the same event to the step below it to solve this issue. 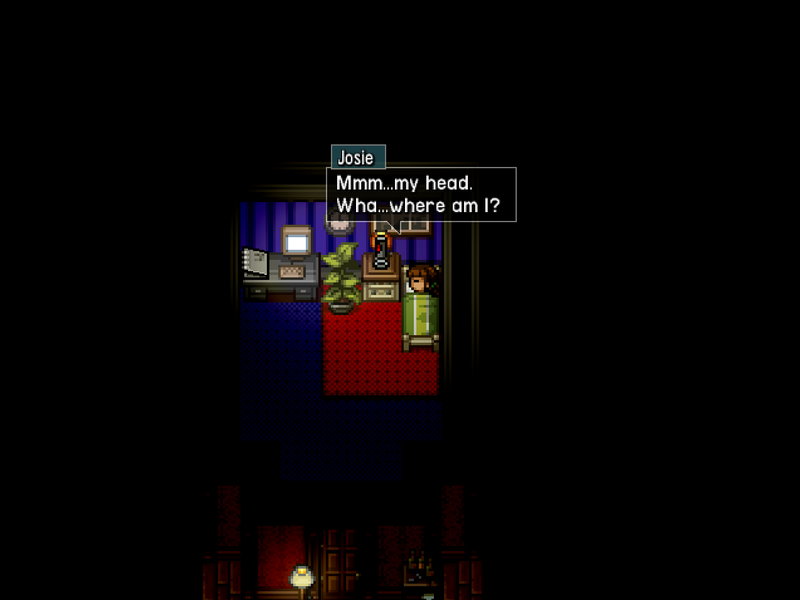 Finally, my game was sadly cut short as I entered a room in the upstairs with a dead guy in the bed. My panic meter turned red suddenly and I was unable to move or react. I assume this was supposed to have an event trigger, but instead I just got stuck. Over all I see a lot of potential in this title, and can't wait to see what more comes of it. yeah I got those bugs fixed, but because its after the date i can post it I can't update the demo. I had left an event for testing purposes and forgot about it. I fixed the areas exists mostly for the right and left exits. I am glad you enjoyed it and look forward to building on it. Not a lot of content yet but i can see what you are going for. My favorite genre :D It looks so creepy, good job! The only negative feedback I have is...I wish I had more game to play! The environment is so well crafted! I really see a ton of potential here. The way your maps are developed and lit up give this game a professional feel. I will definitely be following this after IGMC to see where it goes. awww thanks :) I really appreciate it. No story or monster (yet) but the maps look phenomenal and are very well-crafted.